Virtual desktop infrastructures are growing in popularity because they reduce the complexity of managing large numbers of client devices. But I/O transaction rates vary during the day. Spikes are seen when large numbers of users boot their devices and log on or log off at the same time. 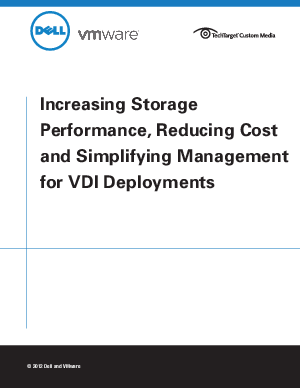 A successful VDI deployment demands flexible storage that can handle the consolidation of user data, operating systems and applications.